The organizing committee will be pleased to welcome all participants to San Servolo Island, the IWA RR2019 venue, for the conference opening and welcome cocktail. 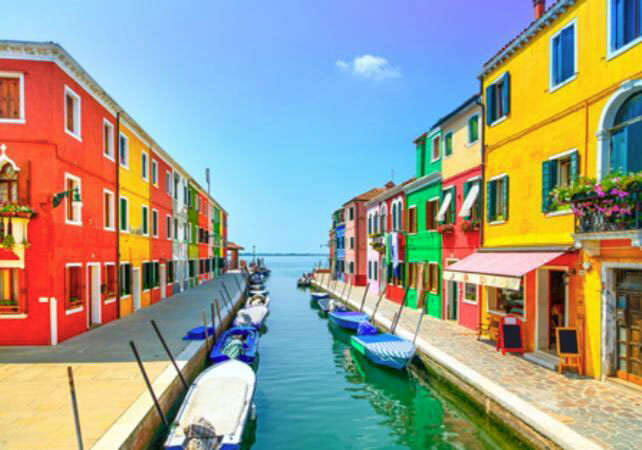 Discover the two main islands around Venice: Murano and Burano. You will be enchanted by the glass masterpieces of Murano Companies and by the Burano bright colourful houses. A professional and local assistant will lead you at the discover of these islands, suggesting the best places to visit as soon as you get off from the private boat, which bring you to the various places. In the middle of the Venetian lagoon, a world away from the hustle and bustle of Venice,there is an island called the garden of Venice: St Erasmo.Narrow canals, field, vineyards..everything makes this island a unique place where relax and have a different kind of experience in the lagoon. 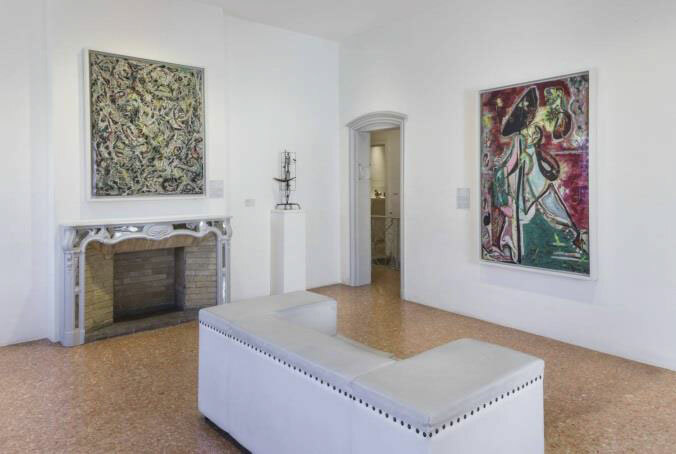 In this unique experience, you will have the opportunity to discover two different, but equally important sides of the city of Venice: art and gastronomy. You can choose between three different cultural itineraries in the historic centre: the Doge’s Palace and St. Mark’s Basilica, the Guggenheim Collection, or the Scuola of San Rocco and the Scuola of San Giovanni Evangelista. 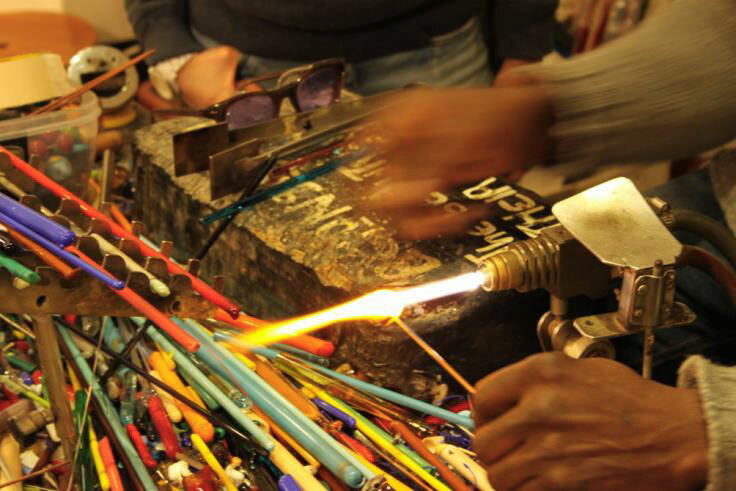 You will see before your very eyes their skilled hands and their refined tools for carving wood or for giving shape to gold, manipulating papier-mâché or even turning hot liquid glass into a solid master piece. You will share with your beloved ones these precious moments that will enrich your visit and help you to get to know Venice off the beaten track. 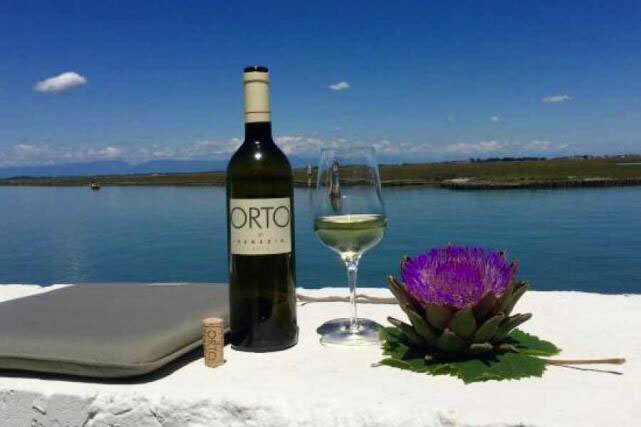 Discover the traditional venetian gastronomy, known all over the world for its fresh fish and its savory wine. 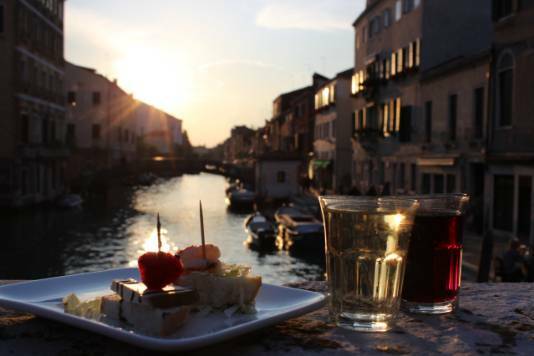 This tour will give you the opportunity to discover the street food of Venice: you will stop by three different “bacari” (traditional taverns), where you will taste the traditional “cicchetti” (appetitizers) and a glass of wine. Your local tour guide will lead you in the authentic and genuine atmosphere that characterizes the Rialto Bridge. You will feel like a true Venetian during the happy hour in Venice. “The most beautiful leaving room of Europe” as Napoleon defined it. 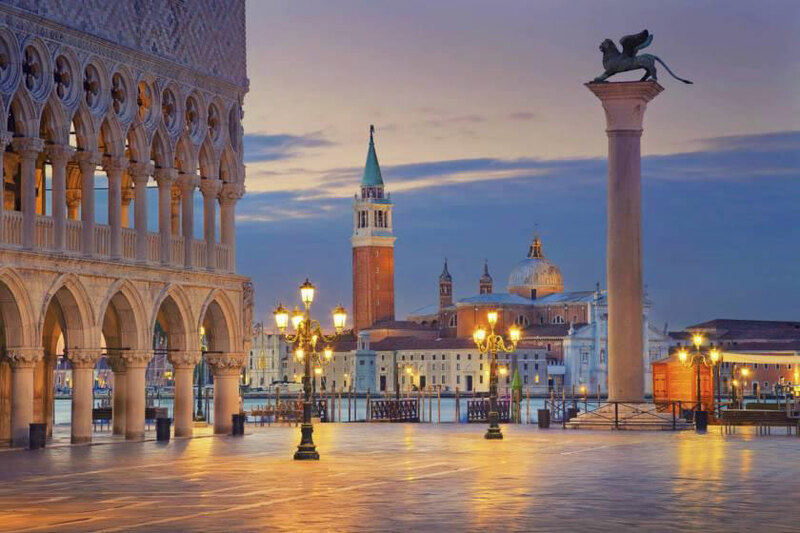 Let a professional tour guide lead you in the heart of Venice. Your experience will start with explanations about the extraordinary buildings of St. Mark’s square, like Palazzo Ducale, the residence of the Doge of Venice, the supreme authority of the former Republic of Venice. After that, you will discover the stunning St. Mark Basilica, the cathedral church of the Roman Catholic Archdiocese of Venice.